Written by an ex-POW of the huge Colditz Castle POW camp, this book recounts his experiences and memories with amazing detail and some good humor. Some of the escape stories are wonderful. 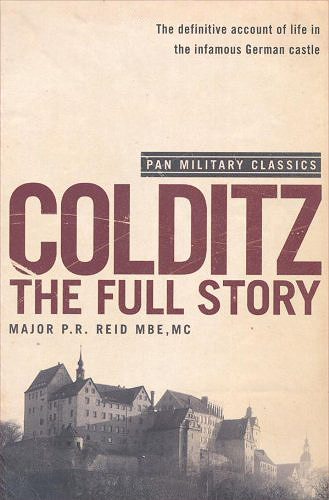 Colditz the full story is wriiten by Major Pat Reid, an ex POW of the huge Fortess prison camp. The book recounts his experiences and memories with amazing detail and some good humor. We learn a great about the camp and the occupants from reading it. Some of the escape stories are wonderful. Major Pat Reid was one of the first captives to be imprisoned at Colditz in the Second World War. The tale of how he escaped from the prison is one of the classics of Twentieth Century literature.